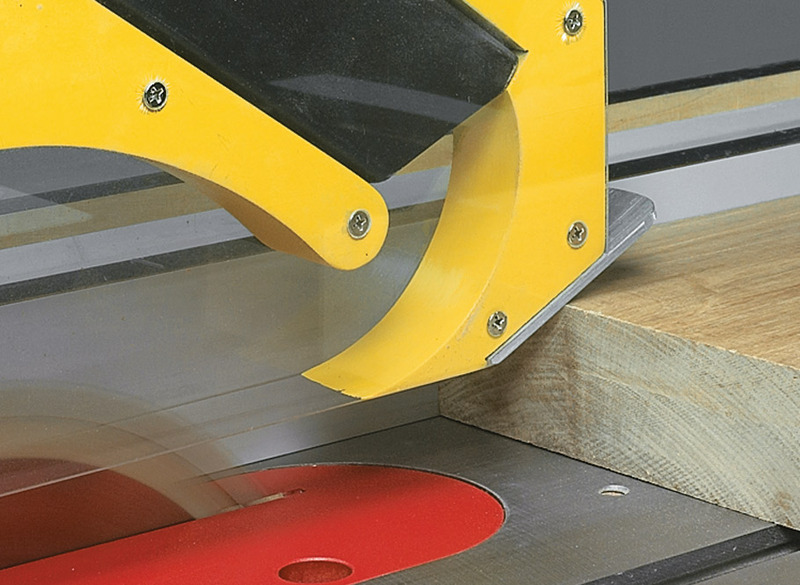 There are two things that set this table saw blade cover apart. 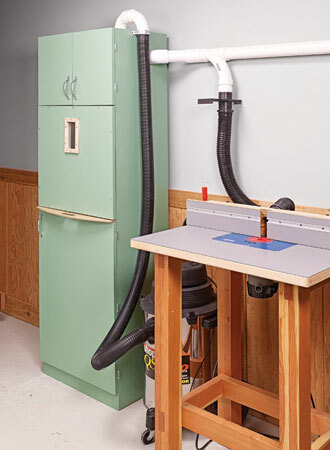 First, it has a simple, built-in dust collection system. 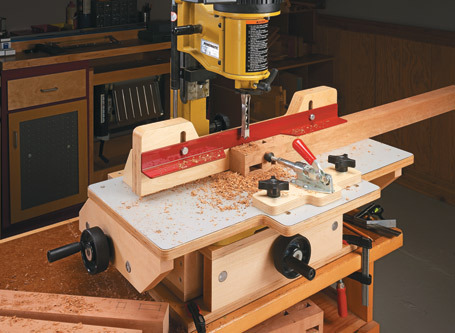 This makes for dust-free cutting and goes a long way toward keeping your shop cleaner. Second is the over-arm design. 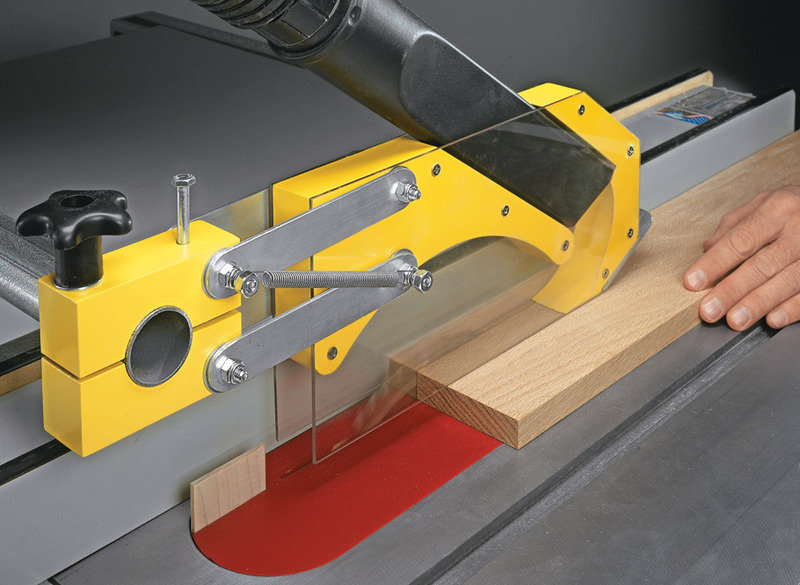 The cover is suspended over the blade (not attached behind it). 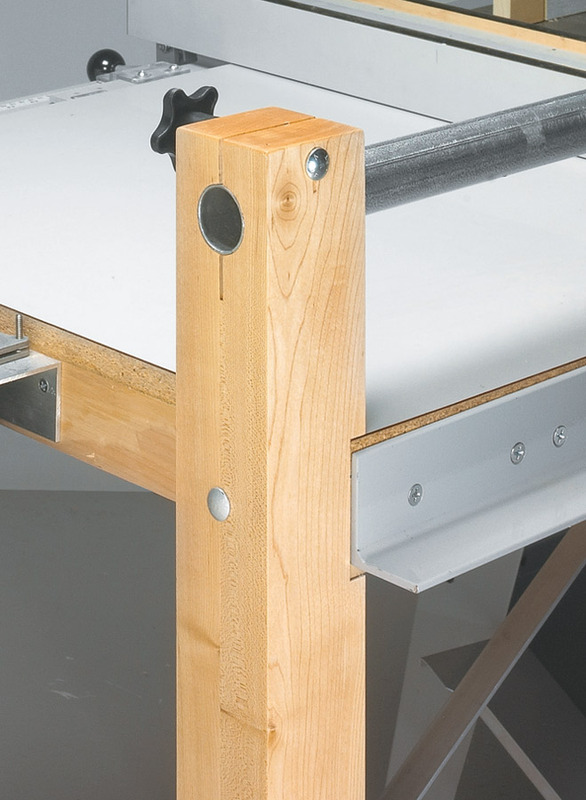 It’s connected to the right side of the saw table. 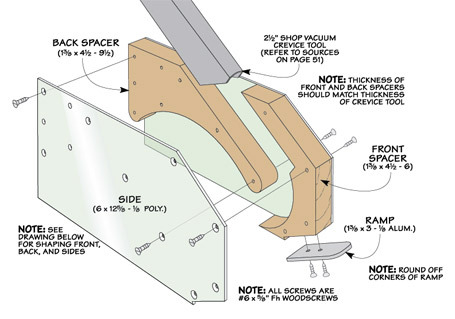 This makes it easier to move the cover out of the way to change blades or for cutting tall stock. 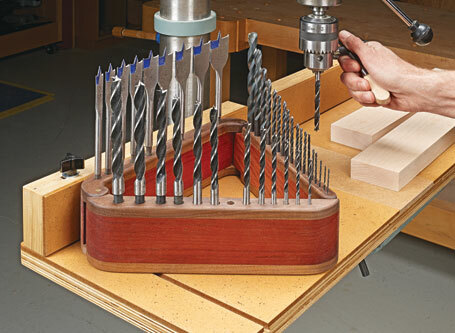 Store your most-used drill bits in style with this modern take on a classic storage device.